By clicking on this button starts the test. Intrexx attempts to connection to all of the available M-Files vaults. If there are multiple Vaults on the same server but with different users, the test for these vaults will return an error. 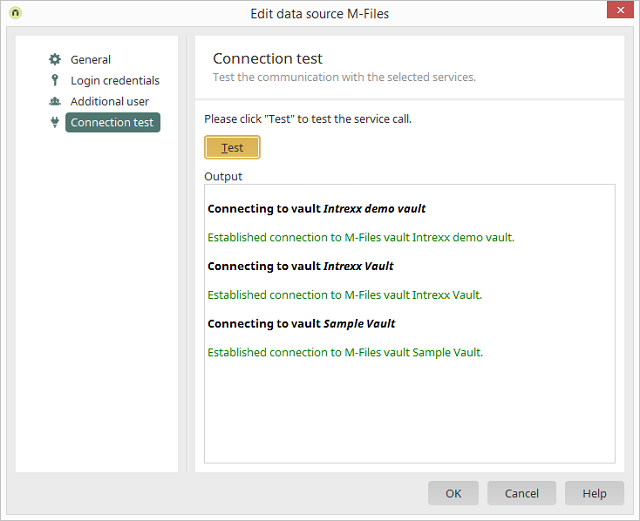 To connect to the other vaults, a new data source with the corresponding authentication information needs to be configured.